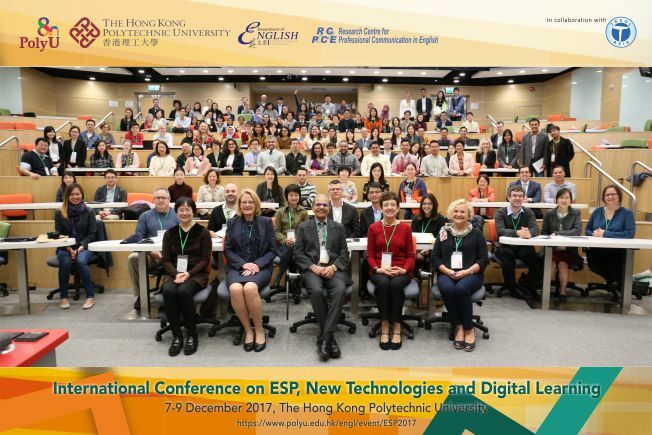 The International Conference on ESP, New Technologies and Digital Learning is jointly organised by the Research Centre for Professional Communication in English (RCPCE), Department of English, The Hong Kong Polytechnic University, in collaboration with TESOL Asia. The conference aims to bring together teachers, researchers and students in English for Specific Purposes (ESP) to contribute to a stimulating and dynamic exchange of ideas in ESP, new technologies and digital learning. It caters for a wide range of presenters and participants and encourage sharing of ideas and stimulate conversation. TESOL Asia a division of the Site Group International, an Australian Registered Training Organization listed in the Australian Stock Exchange. TESOL Asia’s Head Office is located at the Site Skills Training Campus in Clark Freeport Zone, Pampanga, Philippines. Copyright ©2015, The Hong Kong Polytechnic University - Department of English. All rights reserved.